It is a cold and windy day! 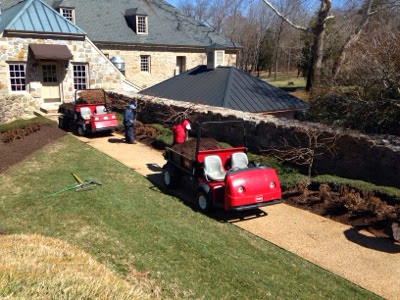 Guys are bundled up as they are applying a new layer or fresh mulch to the club grounds. 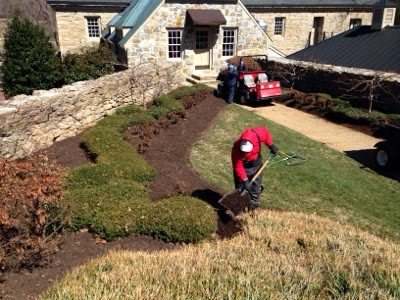 We get our mulch at Yardworks of Powhatan.